Back Alley Creations: Predator Claws!!! Been working on making several parts for the new Skit B pinball game Predator. 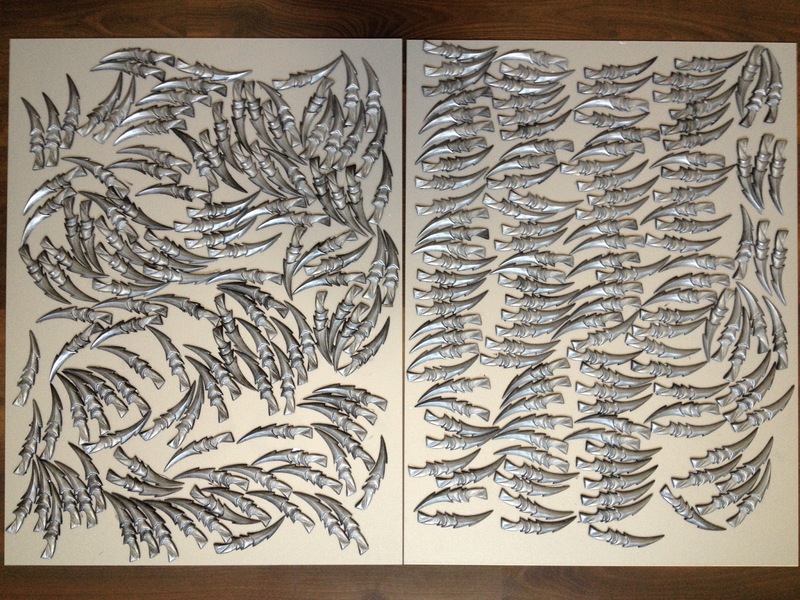 Got all (250+) claws casted just need to assemble the bases and make the mounting plate. AC/DC Finally get's it's cannon!!! 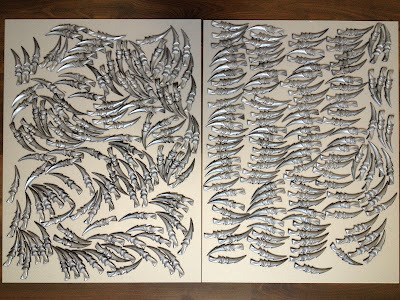 Predator Spine parts done and ready for paint.